Anyone who has purchased their own set of golf clubs knows that they are a pricey investment, especially if you have gotten custom clubs that are made to fit your exact swing. Unfortunately, when you live in an area like Des Moines, you can’t easily hit the greens all year round. When winter rolls around, you may be better off placing your golf clubs into a self-storage unit instead of cluttering up your closet or garage. However, before you place your clubs in a self-storage unit it is important that you take some time and prepare them for long-term storage. Today, Affordable Family Storage will share some key tips that you should follow to ensure that your clubs remain in perfect playing condition during their stay in self-storage. 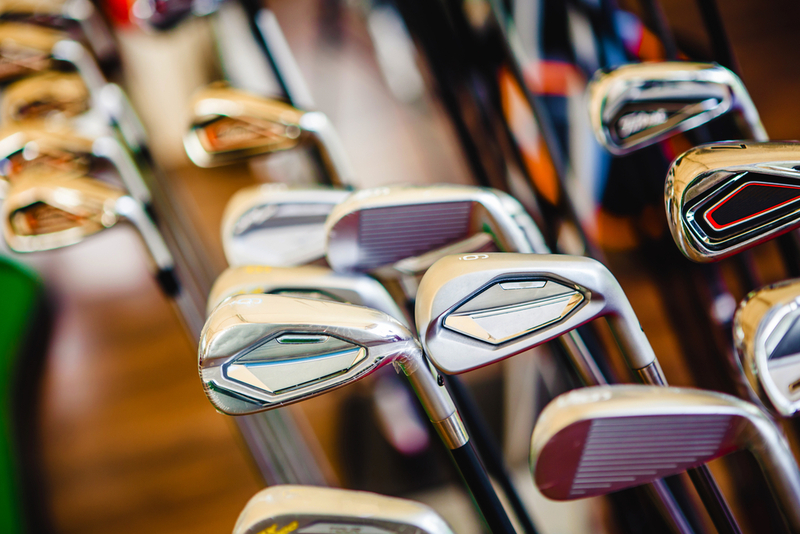 Your first step when preparing your clubs for self-storage is to make sure they are thoroughly cleaned. Wipe down the club heads, grips, and shafts with a wet cloth to remove any dirt or mud. Next, let your clubs completely dry before placing them back into your bag. While your clubs are out, ensure that the inside of your bag is also completely dry. You don’t want to take your clubs out of storage and find that mold has been growing in your clubs. Once your clubs and bag are completely dry, place your clubs in the bag and cover the top. If your bag has a built-in rain cover, you can use that. If not, something as simple as a towel over the top of the bag with a rubber band or rope to keep it in place will work. Make sure you don’t use plastic as this can prevent air from reaching the inside of the bag and trap any potential moisture you may have missed. This step will help to prevent any dust, debris, or pests from getting inside your bag. One of the biggest threats to your golf clubs is a self-storage unit that is not climate-controlled. Major changes in temperature and humidity cause moisture to form. Moisture is the enemy of metal and can cause your clubs to prematurely rust if left in a self-storage unit that is not climate-controlled. The self-storage units at Affordable Family Storage are state-of-the-art with climate-controlled units and 24-hour security. If you need to free up some space by placing your golf clubs in self-storage, the units at Affordable Family Storage are perfect for you. Contact us today if you have any questions at 515-325-0248.